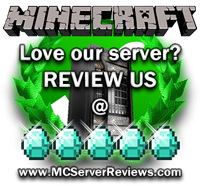 Our minecraft servers offer some of the best gameplay you will experience in Minecraft!! 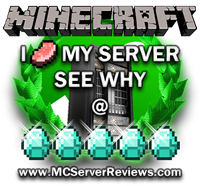 We are a bukkit server featuring the most awesome plugins you have seen, and our forte is providing an excellent RPG, PVP, ECONOMY / TOWNY experience. Our servers are 100% spam and a-hole free, our admins are professionals. You can feel safe about your items and chests because our servers use LOCKETTE and TOWNY for a very secure experience. Featuring several awesome areas! a pirate ship, zoo, roller coaster, casino, underwater structures, pvp arena, spleef arena, and an EPIC entire re-creation of the rapture from bioshock It is truely epic. We now feature Monster Hunt : Sign up with /hunt and the player that kills the most mobs at the end of the day wins awesome prizes! Come check us out, WE ARE UP 24/7. There are 0 Positive and 0 Negative reviews of “Seattlecraft” sorted by most recent. By clicking submit, you agreed to the rules and are using or have played on Seattlecraft.